When your customer-facing apps and internal systems aren't performing optimally, it can mean chaos for your organization. We provide convenient, on-demand application maintenance and development services using proven methodologies to keep your apps running and driving revenue. Our experts provide application maintenance and IT infrastructure support to enhance the scalability, performance, and portability of mission-critical systems with your specific business requirements in mind. 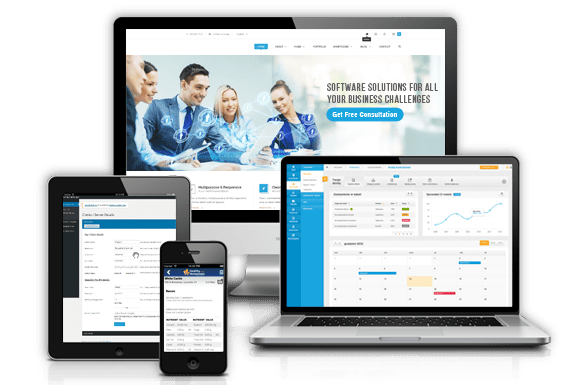 Our enterprise app support experience includes most popular CRM, ERP, and CMS apps, as well as internal systems built on Service-Oriented Architectures (SOA). Our experts provide level 1, 2, and 3 support solutions, including standard issue fixing, application and system audits, IT environment support, and server administration. We offer adaptive and perfective maintenance services, ad hoc troubleshooting, holistic performance analyses, fault and root cause analysis, upgrades and legacy migrations. We provide scalable maintenance solutions for mobile applications that prolong uptime, support a larger user base, optimize server performance, improve UI/UX, enhance Business Process Management (BPM) processes, more easily comply with regulatory concerns and keep integrated web services running smoothly. In addition to typical application maintenance and development services, we offer multiple, modernization, migration and upgrade solutions for legacy apps. We provide full-time maintenance, monitoring, and support for time-sensitive applications with scheduled maintenance services. With our app refactoring solutions, we ensure continued external functionality while improving internal code structures. We eliminate programming redundancies, streamline class designs, and improve API implementations. We also refactor RESTful, SOAP, and simple servlet services into microservices. Our developers provide web application maintenance solutions, including testing and debugging, customization of applications, updating site information with security measures, database maintenance, productivity analysis, and real time monitoring and management. In all our maintenance work, we adhere to strict Service Level Agreement (SLA) guidelines.